The Travelers Championship follows the last big major at The 2018 US Open. The PGA Tour event has been bounced around the last couple of years due to the Olympics but settles in this year after the tournament at Shinnecock Hills. The course has favored long hitters in the past, with the set up being a Par 70 under 7000 yards. 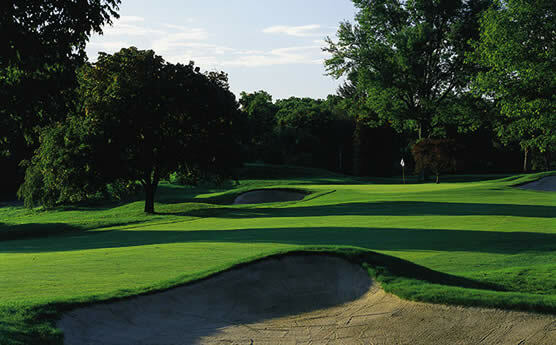 The TPC River Highlands is a well-balanced test of golfing abilities with a mixture of long and short holes. The 2018 Travellers Championship finds itself back in the position on the schedule right after the US Open which will once again affect which players to focus on for your fantasy golf lineups at DraftKings. Usually the Travelers has a stronger field of golfers that are in a stretch run between majors and 2018 will be no different. The field already commited includes: include defending champion Jordan Spieth as well as Rory McIlroy, Bubba Watson, Justin Thomas, Zach Johnson, Jim Furyk, Paul Casey and Masters Champ Patrick Reed. Watch for how players played at the US Open to see if they are in a groove or slumping into the Travelers. If you missed out on some of the big money for the major last week then start practicing for the next one! Join our affiliate partner DraftKings.com and take advantage of our FREE Ticket Bonus Offer! Make your first deposit to DK using the links on this page and you'll get a FREE Birdie Contest Ticket to play for thousands of dollars! Then you'll be all set for the next Fantasy Golf Millionaire Contest for the Open Championship. If you are looking for another great fantasy golf site, try out FantasyDraft.com. They have standard Salary Cap games, but they also have a twist on making your lineups, which we are a big fan of if you are having a hard time making a salary cap team. Sometimes a different perspective is all you need in fantasy golf to be a big winner. GolfStats.com has been helping put cash in the pockets of fantasy players for a few years now and this year is no exception. Sign up for the rest of the season and see how much of a bankroll you can build. With a field of lower tiered golfers, the top players that have committed will be the highest priced guys at daily fantasy golf sites. Unless you are good at picking sleeper picks for the Travellers Championship, you may want the help of the experts for their insight.